Anwar Dawadi participated in the Flexible Building for Temporary Factory and today we wanted to share his story. 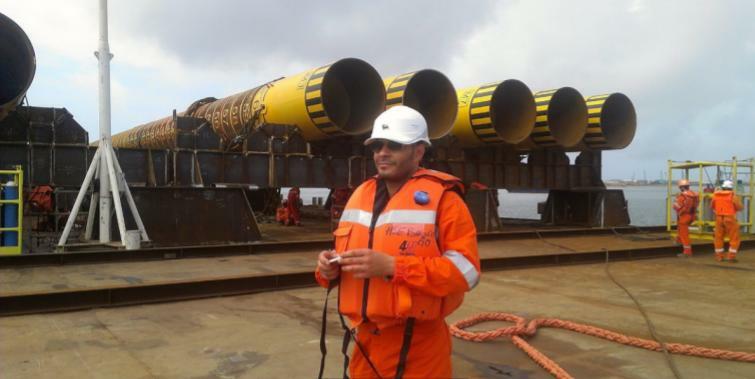 Anwar is an offshore Method and structural Engineer with over 13 years experience both at the local and international level. He was born in Gabès, a city located in the South of Tunisia, along the Mediterranean coast. This city has a large harbor and a significant industry in Africa. According to him, this factor determined the professional future of the youth of the city, including himself. His father was a enthusiastic handyman who loved to repair all the household appliances in the garage, something that really inspired him as a child. Most of his family members are engineers, and he told us that, ever since his childhood years, he has liked the technique, the manipulation of tools, deep reflection and the research of reliable technical solutions for creation or problem solving that engineering entailed. When it comes to working background, Anwar Dawadi has 1 year of experience in an engineering sugar factory, 5 years in Oil & Gas, Petrochemicals, energy and Chemical Industries and 8 years of experience in a Cement factory, Construction and infrastructure. He was very interested in this challenge because of the difficulty of the solution and the attractive sum awarded. For him it was also a risk, since months of his work can evaporate easily without the possibility of compensating time and money. We want to thank Anwar for sharing his experience with us, I hope you find some inspirations in his story!